We want to offer you the best service at the best price. We promise to price match any like-for-like* offer, in store or online. Local? We'll give you an extra £5 'personal collection discount' on your first in-store order - from our standard low prices, special offers or a price match. Call ahead to check stock availability. Visit us in store! So much to see and try. 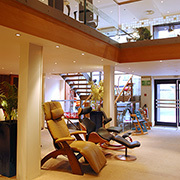 At Back in Action we want to ensure you get superb value and service every time. We regularly monitor and update our pricing to ensure that you get great products and great service, all at a great price. If you do find a cheaper like-for-like price, then all Back in Action staff have management approval to match a genuine competitor's price. We will still offer the same helpful service. Our staff won't make you feel awkward either. After all, we are shoppers too and we respect customers who put in effort to find the best price and service. To price match, contact us by email or by phone. If you would rather not discuss other companies' offers with us, order online and use the comments box at the checkout to tell us where and when you've seen the lower price. We are a high integrity family business. If your request is fair, we will listen and act. To be clear, a competitive quote is not just about price, it has to be like for like on price, delivery and service. 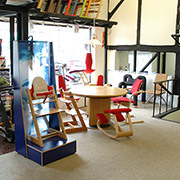 We keep huge stock for rapid delivery where most others order stock in once they have your order and money. Anyway... all that is just fine print... the main thing to repeat, is that we are a high integrity family business... and if your request is fair, we will listen and act. “Great Service. Quick Delivery and good communication. We make our pricing simple. 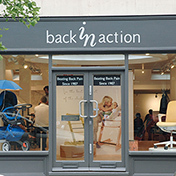 Back in Action offers the same low prices in store and online! We are also thrilled with our reputation for offering a great online experience and superb after sales... 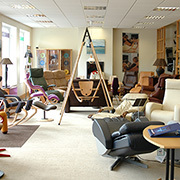 This has stemmed from over 25 year of in store personal service. In this digital age, we still offer the old school, unique personal service in our stores. It is so good, we want you to experience it for yourself. Bring a copy of this page with you to one of our stores. We will greet you with a smile and offer you a first visit discount ... Why? ... Because our stores are exciting treasure troves and we know you won't leave empty handed. We offer great internet service which is quick and reliable; We also have staff in store ready to answer any of your detailed questions. Please take advantage of this service by asking as many questions as you like: online, by telephone or by visiting one of our shops. If you like the helpful service we offer, but someone else is running a special offer, please let us know. If you would rather talk to one of our staff before placing your order, or you are nervous about using your credit card on the internet, don't worry. On checkout, just select "Bypass Payment". We'll contact you to confirm your order and payment method.